Dr Conrad Murray will leave prison less than halfway through his four-year sentence for the involuntary manslaughter of Michael Jackson. 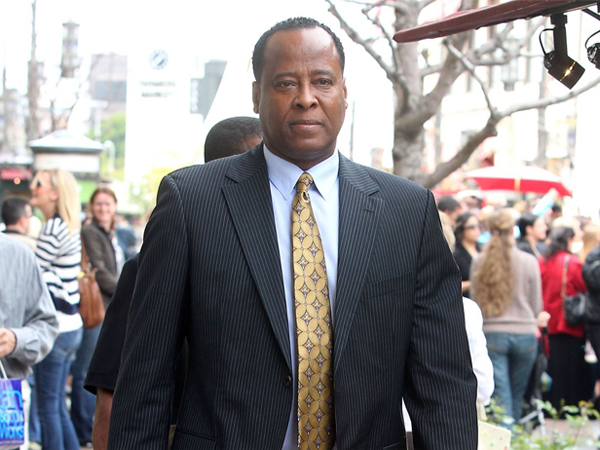 Dr Conrad Murray will be released from prison on 28 October. The disgraced doctor has been granted early release and will leave Los Angeles County Jail in three months’ time, having served less than half of his four-year sentence for the involuntary manslaughter of Michael Jackson. Murray ? who administered the fatal dose of anaesthetic propofol which killed the King of Pop in June 2009 ? was convicted in November 2011 and has spent his sentence in solitary confinement, but with access to a TV and mobile phone. He’s been granted early release for his good conduct behind bars and to ease the burden on the prison system. A source said, "He has been a model inmate and the authorities have granted him an early release due to that good behaviour and the overcrowded California jail system." However, the decision to release Murray has infuriated the Thriller star's family, including his children, Prince (16), Paris (15) and 11-year-old Blanket. Michael's mother, Katherine, said, "It is not right. I will never be able to see my son again, while his [Murray’s] mother can see him." A source added to the Daily Mirror newspaper, "Murray is the killer of Michael in their eyes. He cost them their son and father. For him to get out in two years is an insult. They still feel he should have been tried for murder."